Clients of financial planners have a statutory right of action if the financial planner (1) violates any element of the fiduciary duty, (2) is grossly negligent in the provision of advice to the client, in light of all of the client’s financial circumstances known to the financial planner or (3) violated any state law in the provision of investment advice. If any of the above violations occur, the client is entitled to recover, in a civil action, the amount of any economic loss resulting from the advice and all costs of litigation and attorney’s fees. On January 18, the Nevada Securities Division released its long-awaited proposed draft regulation (“Proposal”). The Proposal begins by stating that a broker-dealer or its sales representatives will owe a fiduciary duty to its clients if it: (1) provides “investment advice” (as defined below) to the clients; (2) manages the clients’ assets1; (3) performs discretionary trading2 of client assets; (4) who otherwise establishes a fiduciary relationship with clients,3 or (5) uses the following titles and terms in their title, name, biographical description, or otherwise holds themselves out as having such role: (a) advisor/adviser, (b) financial planner/financial consultant, (c) retirement consultant/retirement planner, (d) wealth manager, (e) counselor, or (f) “other titles that the Administrator may by order deem appropriate.”4 A broker-dealer and sales representative are presumed to owe a fiduciary duty to the client. providing advice or a recommendation regarding an insurance product or an investment by comparison to a security, or that includes the buy, sale, or hold of a security. The fiduciary duty imposed on both broker-dealers and investment advisers generally includes the time period during which it provides investment advice, performs discretionary trading, maintains assets under management, acts in a fiduciary capacity towards the client, discloses fees or gains, through the completion of any contract, and through the term of engagement of services. Broker-dealers, but not investment advisers, may qualify for the Episodic Fiduciary Duty Exemption, which would limit the fiduciary duty to the specific investment advice provided, but not, unless otherwise required by law, have an ongoing fiduciary duty towards the client. This means that, under the Episodic Fiduciary Duty Exemption, the broker-dealer or sales representative would not have an ongoing duty to keep informed about the client’s financial circumstances and obligations. The broker-dealer and sales representative do not the use terms/titles, described above. Limits the availability of securities to certain clients unless based upon a client’s investment goals, a client’s investment strategy, a firm’s limitation of quantity or type of investment that can be sold to a client, or the security’s own sale limitations. They advised the client that the product is proprietary and advised the client of all risks associated with the product. All applicable self-regulatory organization, custody, and conduct rules are followed regarding the cash position. A broker-dealer who executes a trade in good faith that was recommended to a client by a registered or licensed investment adviser or representative, and has otherwise complied with applicable laws, rules, firm policies and procedures, provided the broker-dealer does not provide investment advice, asset management, discretionary trading or provide a financial plan to the client. A clearing firm that receives a direct instruction for the execution of a transaction from a properly registered or licensed broker-dealer, provided the clearing firm has acted in good faith, otherwise complied with all applicable laws, self-regulatory rules and firm policies and procedures. A firm or its representatives that charge the client a fee based upon a specific percentage of assets under management, and where those charges are “regularly” provided consistent with “other firm documents and law” need not disclose such fees at the time of the advice. The receipt and amount of finder’s fees, referral fees and “other benefit” for referrals to firms (brokerage and advisory), their representatives and/or a “financial planner,” must be disclosed to the client at the time of the referral, along with any applicable contracts relating to the referral. For all intents and purposes, broker-dealers and registered representatives are foreclosed from using the following titles, or otherwise holding themselves out as, (a) advisor/adviser, (b) financial planner/financial consultant, (c) retirement consultant/retirement planner, (d) wealth manager, or (e) counselor, because doing so would disqualify them from relying upon the Episodic Fiduciary Duty Exemption. Use of such titles would mean that broker-dealers and their representatives would owe a continuing fiduciary duty to their client even after the transaction at issue was consummated. Dual-registrants and their affiliates should pay particular attention to the Proposal. The definition of “investment advice” appears to go well beyond existing definitions and interpretations under federal law. For example, the definition refers to both “advice” and “recommendations,” without explaining how the terms differ and how a recommendation can amount to advice. Moreover, seemingly any information about a specific security to a specific client could be deemed to constitute investment advice, even such general information as price and historical performance. Though the Proposal indicates that the provision of information about a security “that is specifically contained in the security’s offering documents is presumptively not investment advice,” it leaves open-ended whether providing general information not contained in such documents would give rise to investment advice. The Proposal does not unequivocally state that general information about a specific security to a specific client is not advice. The Proposal says that the fiduciary duty standard of care extends to the time during which a broker-dealer “maintains assets under management,” even though the fiduciary duty is only supposed to apply, in pertinent part, when broker-dealers “manage” assets or perform “discretionary” trading. This could potentially ensnare custodial functions after investment advice was given. We don’t necessarily think this conclusion is the Securities Division’s intent, but it may make sense to seek clarification. The Proposal acknowledges the Securities and Exchange Commission’s (“SEC”) preemptive authority under the Exchange Act with respect to broker-dealer books and records requirements, but is silent with regard to federal preemption of state authority under the Investment Advisers Act of 1940, as amended (“Advisers Act”), and ERISA; therefore, it appears the Securities Division is of the view that the Proposal, if adopted, would not be preempted under the Advisers Act and ERISA. The Proposal authorizes the Securities Division to adopt any rule, form or exemption approved by the SEC for application to broker-dealers, investment advisers and their representatives so long as the adoption does not materially diminish the fiduciary duty under applicable Nevada law. This appears to give them the flexibility to adopt SEC’s best interest proposals (including Regulation Best Interest, if adopted). As a practical matter, we think this is unlikely given that the Securities Division opted to propose the Proposal seemingly mere months away from the SEC’s adoption of its own rulemaking package and the numerous differences between the Proposal and the SEC’s proposals. Those interested in submitting a comment letter on the Proposal may do so by March 1, 2019. Written comments should be sent to: Diana Foley, Nevada Secretary of State’s Office Securities Division, 2250 Las Vegas Boulevard North, Suite 400, North Las Vegas, Nevada 89030. 2 The Proposal defines “discretionary trading” by what it’s not, namely, that it does not encompass the “limited conduct of exercising discretion as to time and price of buying or selling a security that is based upon a client’s direction, or transactions executed to satisfy customer margin obligations. 3 It is unclear whether a fiduciary relationship established under federal law (e.g., Employee Retirement Income Security Act of 1974, as amended (“ERISA”)) would trigger fiduciary status here. Our inaugural 2019 Risk & Reward will both get you up to speed on 2018 fiduciary-related developments that affected financial institutions, as well as preview the 2019 landscape. We’ll refrain from screaming predictions, that, while attention-grabbing, are unlikely to materialize. Instead, we will provide context and nuance that anchors our predictions. We take this role very seriously, considering that the Fiduciary Governance Group’s very genesis was in the heady days between the Department of Labor’s (DOL) fiduciary rule demise and the Securities and Exchange Commission’s (SEC) standard of conduct proposal. While standards of conduct will dominate our discussion and predictions, many other fiduciary issues also manifested themselves in 2018, including proxy voting and environmental, social and governance (ESG) investing, and those will be addressed, too. The DOL fiduciary rule was already in purgatory when we rung in 2018. While it was clear the rule was unlikely to survive in its Obama-era form, the question was more over whether a scalpel or wrecking ball would be the preferred instrument and whether it would be at the hands of Trump’s DOL or a court. The administrative complaint filed against Scottrade by the Massachusetts Securities Division in February 2018 was the first salvo of the year. 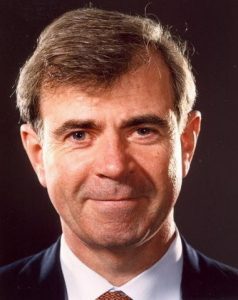 Here, William Galvin, Massachusetts’ Secretary of State, alleged that Scottrade violated the DOL fiduciary rule’s “impartial conduct standards,” and, therefore, violated state law. As we noted, “Massachusetts was effectively seeking to enforce the DOL rule.” The worry, of course, was that the complaint against Scottrade would be the first of many lodged by Massachusetts and others against firms who may have been working off policies and procedures put in place due to the DOL fiduciary rule but by then no longer strictly required. For now, however, no other such actions have been filed. At first glance, the Court’s decision to toss out both the fiduciary rule and the related exemptions (e.g., Best Interest Contract Exemption) may seem like throwing out the baby with the bathwater. You will recall, however, that by the time of the Court’s ruling, most of the more complicated and expensive conditions of those exemptions had already been relaxed. As we cheerily noted in November 2017, “[a]n early holiday gift to many, the [DOL] on November 27 formalized an extension of the transition period of the Best Interest Contract (BIC) Exemption, the Principal Transactions Exemption, and certain conditions of Prohibited Transaction Exemption 84-24. The transition period will now end on July 1, 2019 rather than January 1, 2018.” The transition period was, by definition, transitory, and ultimately the DOL would have to find a final fix. In this sense, the Fifth Circuit saved the DOL from having to iron out enough of the 2016 rule’s wrinkles to make the rule (more) workable. On May 7, 2018, the DOL issued Field Assistance Bulletin (FAB) 2018-02, which states that the DOL and Internal Revenue Service (IRS) will not bring an enforcement action against firms for non-exempt prohibited transactions that arise from providing fiduciary investment advice to plans and IRA holders when they exercise reasonable diligence and act in good faith in complying with the impartial conduct standards. This non-enforcement policy binds only the DOL and IRS; state regulators and private plaintiffs could potentially seek to bring an action for alleged non-compliance with the impartial conduct standards. The industry was already familiar with the impartial conduct standards because they were originally set forth in the Best Interest Contract Exemption. The original five-part test now determines whether one is an investment advice fiduciary under ERISA. We expect that the DOL will issue interpretive guidance, and propose exemptive relief, in the summer or fall of 2019. The interpretive guidance will most likely address the circumstances under which rollover recommendations constitute fiduciary investment advice. The proposed DOL exemption will probably apply to services and products that the DOL views as presenting fewer conflicts of interest, one of the conditions being adherence to the final form of Regulation Best Interest (more on that, below). While we cannot completely predict whether multiple exemptions will be proposed, we can say, with some level of confidence, that the DOL is quite unlikely to modify the five-part test for when one becomes an investment advice fiduciary. We do not think the DOL has the appetite or bandwidth to do that. 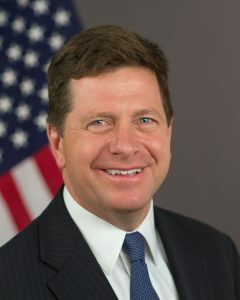 Without question, the big fiduciary news of 2018 was the SEC’s April 18 release of its rulemaking proposals on the standards of conduct and required disclosures for broker-dealers and investment advisers who provide services to retail investors.2 Though SEC Chairman Jay Clayton garnered four votes to secure the release of the proposal (Stein dissenting), the commissioners had enough misgivings to give the impression that a final rulemaking could look quite different from the proposal.​ By way of background, the Dodd-Frank Act authorized the SEC to adopt rules on the standards of care for broker-dealers, investment advisers and their associated persons.3 The SEC staff, in 2011, issued a study recommending that the SEC engage in rulemaking to adopt and implement a uniform fiduciary standard of conduct for broker-dealers and investment advisers when providing personalized investment advice about securities to retail customers. Last April, the SEC acted. The SEC did not, however, propose a uniform fiduciary standard. Rather, it proposed a best interest standard for broker-dealers that it characterized as an enhancement to existing standards (but separate and distinct from the fiduciary duty applicable to investment advisers). The SEC also proposed a new requirement for both broker-dealers and investment advisers to provide a brief relationship summary to retail investors, and it published for comment a proposed interpretation of the standard of conduct for investment advisers. The SEC release states that the proposed best interest obligation both draws from principles applying to investment advice in other contexts where conflicts of interests exist, and builds upon the existing regulatory obligations in light of the unique structure of broker-dealer relationships with retail customers. The proposed best interest release reflects the underlying intent of many of the recommendations of the 2011 staff report, and also generally draws from the principles underlying the DOL’s 2016 fiduciary rulemaking. Crucially, the SEC opted not to define “best interest,” and this omission has largely dominated the discussion over the entire proposed package. The proposed best interest standard is, in fact, not a fiduciary standard, such as the one imposed on investment advisers under the Investment Advisers Act of 1940 (Advisers Act). Rather, it’s a suitability-plus standard with enhanced disclosures and a requirement to mitigate or eliminate certain conflicts of interest. For example, the broker-dealer must establish, maintain, and enforce written policies and procedures reasonably designed to identify and then to, at a minimum, (1) disclose, or eliminate, material conflicts of interest associated with the recommendation; and (2) disclose and mitigate, or eliminate, material conflicts of interest arising from financial incentives associated with the recommendation. We think that, most likely, Regulation Best Interest will be finalized this spring (in the fall at the latest) largely intact. We would not be surprised if the SEC opted to provide examples of how firms can meet their best interest duties, while still avoiding the rhetorical exercise of trying to define them. The SEC also included title reforms for broker-dealers and investment advisers which include (1) a requirement of broker-dealers and investment-advisers to prominently disclose their registration status and (2) a prohibition against standalone broker-dealers and their financial professionals from using the terms “adviser” and “advisor” as part of their name or title. 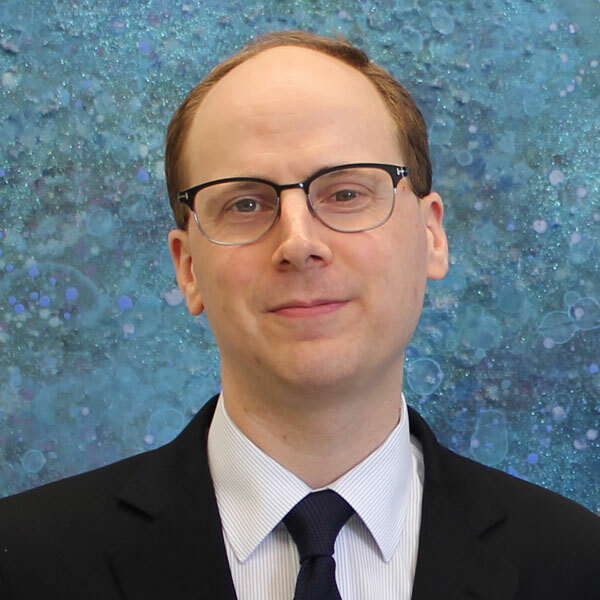 We believe that the SEC is unlikely to adopt the proposed title reform changes given their limited application to just a few terms out of a possible universe of many, and the fact that this initiative was championed by Michael Piwowar, who has since left the SEC. If the SEC does not adopt title reform, we would not be surprised to continue to see state legislatures and regulators view this as an area of focus. Form CRS has also proven to be a controversial component of the SEC proposal. If Form CRS was supposed to allay investor confusion over a broker-dealer standard of care and an investment adviser standard of care, the jury still appears to be out. While testing of the Form confirmed investors’ desire for clarity on standards of care, it is still an open question whether investors understand the Form or the concepts addressed in it. As a result, industry comments criticized Form CRS for adding to the confusion. We believe that the SEC will move forward with Form CRS, making some adjustments to address industry concerns and perhaps incorporating some of the models industry submitted. One other aspect of the SEC standards of conduct package proposal is also worth watching. The SEC published for comment a proposed interpretation of the existing fiduciary duty owed by investment advisers under the Advisers Act. The proposed interpretation is intended to summarize the SEC’s understanding of that fiduciary duty and put the market on notice of the SEC’s views. This has been somewhat controversial within the adviser industry because some believe it goes beyond existing precedents, guidance and interpretations to impose new obligations on advisers. Most notably, the proposed release suggests that certain conflicts of interest may no longer be addressed through disclosure and informed client consent. In light of the controversy surrounding the release, we predict that the SEC will either choose not to move forward with the interpretation at this time or modify it to delete the more controversial interpretations for which there is no existing strong precedent. The public had until August 7, 2018 to submit comment letters regarding the proposal. 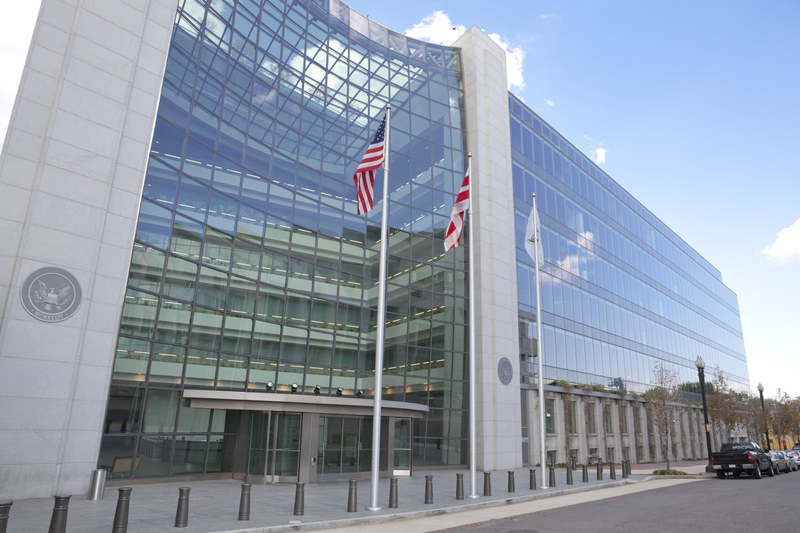 There was general support amongst commenters that the SEC’s proposals were well-intentioned and that the SEC should continue to take a lead on formulating a best interest standard for broker-dealers. However, many commenters felt the SEC’s proposal was vague and went far beyond current broker-dealer obligations. Many commenters hoped the final rules would show significant improvements over the proposals. As we noted early in the year, 2018 promised to be very eventful at the state level driven in large measure by a perception that regulatory rollback was well afoot at the federal level. It did not fail to deliver. Regulators and legislators in New Jersey, New York, Nevada and Maryland, among others, raced to fill a perceived void created by federal deregulation. The National Association of Insurance Commissioners (NAIC) also was hard at work in an attempt to form a model standard of conduct for states to follow in connection with the sale of life insurance products. On October 15, the New Jersey Bureau of Securities (Bureau) issued a notice of pre-proposal to solicit comments on whether to adopt rule amendments that would require broker-dealers, agents, investment advisers and investment adviser representatives to be subject to an express fiduciary duty. The notice highlighted concerns that investors are often unaware of whether and to what extent those they trust to make financial recommendations are receiving undisclosed financial benefits in exchange for steering their clients to certain products.9 The pre-proposal did not include any specific language, but the Bureau did indicate it was considering “making it a dishonest or unethical business practice for failing to act in accordance with a fiduciary duty when recommending to a customer, an investment strategy, or the purchase, sale, or exchange of any security or securities, or providing investment advisory services to a customer.”10 The Bureau held two public hearings last November; the comment period closed on December 14. The Bureau currently expects to release a formal proposal in the first quarter of 2019, followed again by another comment period. 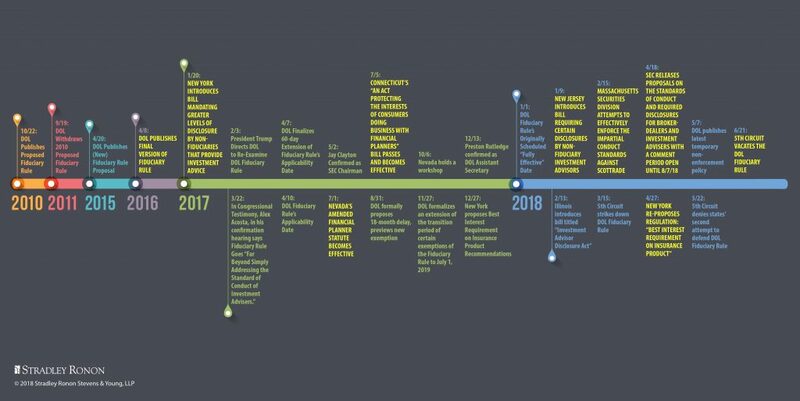 This timeline could be extended, depending on when the SEC finalizes its standards of conduct rulemaking. The Bureau could also shelve its proposal if the final Regulation Best Interest is modified in such a way as to assuage state legislatures and regulators. 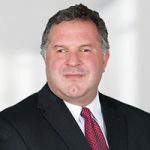 Early in 2018, the New Jersey Senate reintroduced a bill that would have required non-fiduciary investment advisers to make a plain language disclosure stating that they are not required to act in the client’s best interest, that they are allowed to recommend investments that earn them higher fees, and also keep records of the client’s acknowledgement of those disclosures. The bill stalled. With that said, we understand that the sponsor of the bill has not lost faith and is open to re-introducing the bill this session. It may simply be a matter of politics if legislation is introduced while the Bureau works through its regulatory process. The bill’s language is virtually identical to the New Jersey bill we noted above. While the Investment Transparency Act did not advance to a floor vote following a third reading before the State Assembly in May 2018, Dinowitz has indicated that he plans to re-propose legislation. One of the most significant state developments over the past year occurred on July 18, 2018 when New York’s Department of Financial Services (NYDFS) approved an amendment to its insurance regulation to impose a “best interest” standard on the sale of life insurance and annuity contracts.12 Specifically, the regulation requires insurers and “producers” to establish standards and procedures for recommendations to consumers with respect to annuity contracts or insurance policies delivered or issued for delivery in the state, so that any transaction with respect to those policies is in the best interest of the consumer and appropriately addresses the insurance needs and financial objectives of the consumer at the time of the transaction. The amendment is to take effect on August 1, 2019 for annuity contracts and February 1, 2020 for life insurance policies. The New York regulation marked a sea change and raised concerns about what might happen with the NAIC model drafting process as well as in other jurisdictions. 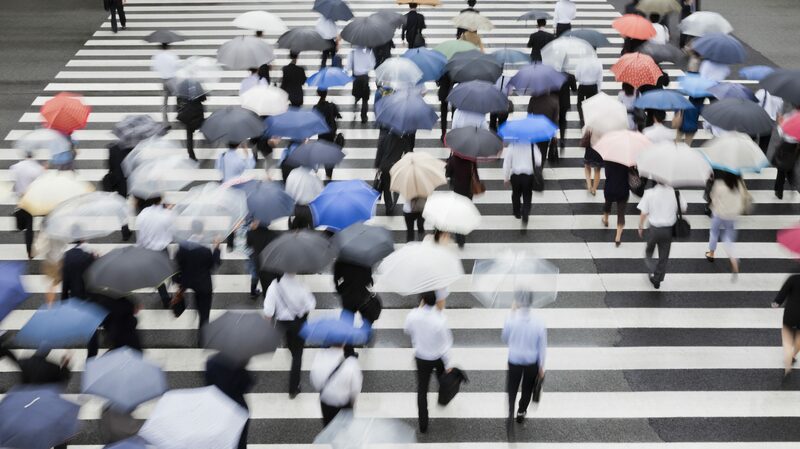 The regulation not only heightened the standard of care owed by the sellers of life insurance products, but also vastly expanded the breadth of the products covered from annuities to all life insurance products, including term life insurance. 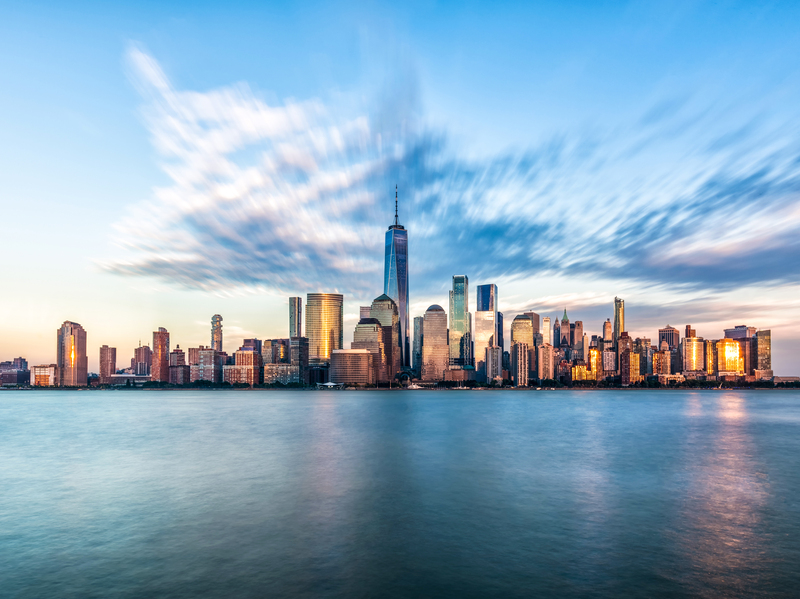 Some industry groups quickly challenged the NYDFS regulation.13 Does this regulation presage how other states respond to the rollback of regulations at the federal level? On that point, the outcome of the NAIC’s model rulemaking process is of particular note. The NAIC committee tasked with revising the NAIC’s model suitability rule for the sale of annuity products was hard at work in 2018 seeking to revise its current “suitability” standard for the sale of annuity products with a rule that would apply a “best interest” standard. The committee faced great debate among NAIC members regarding among the future of the model rule. With states like New York and California leading the charge, the NAIC was pressured to adopt a rule that, like New York’s regulation, would impose a best interest standard for the sale of both annuity and life insurance products. Other states have pushed back, arguing that such an approach goes too far and would be unlikely to pass in many state legislatures. Because the NAIC is working to harmonize its advice standards with those of the SEC, it is unlikely that NAIC will have its final model rule promulgated until after the SEC finalizes its rule. The future of the NAIC’s model regulation will continue to be a hot topic of debate in 2019. Maryland is also worth watching. Last May, legislation passed in the House and Senate as part of a larger financial reform bill (titled the Financial Consumer Protection Act of 2018), which instructed the Maryland Financial Consumer Protection Commission (the MFCPC) to study the DOL’s 2016 fiduciary rule and SEC’s proposed Regulation Best Interest, to determine whether it would be in the best interest of the state to adopt its own fiduciary rule. The MFCPC has since held two public hearings where it has heard testimony from interested parties. Last we heard, the MFCPC hopes to issue a final report and draft fiduciary rule to Maryland’s General Assembly and to the Governor any day now. Although there seems to be some support for such a rule in the Maryland legislature, Chair Gary Gensler has recognized that adopting a new fiduciary standard will be a “tough lift” for the General Assembly. 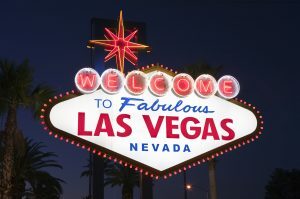 Though the passage of a Nevada bill in 2017, which imposed a statutory fiduciary duty on broker-dealers, sales representatives, and investment advisers14 was met with great fanfare and surprise, it left financial services firms that were subject to the new law in limbo because its scope and core requirements were left to the Nevada Securities Division to decide. While repeatedly promised, a regulation explaining how this uniform fiduciary standard was to work in practice, and whether firms registered with the SEC would be exempted, has yet to materialize. 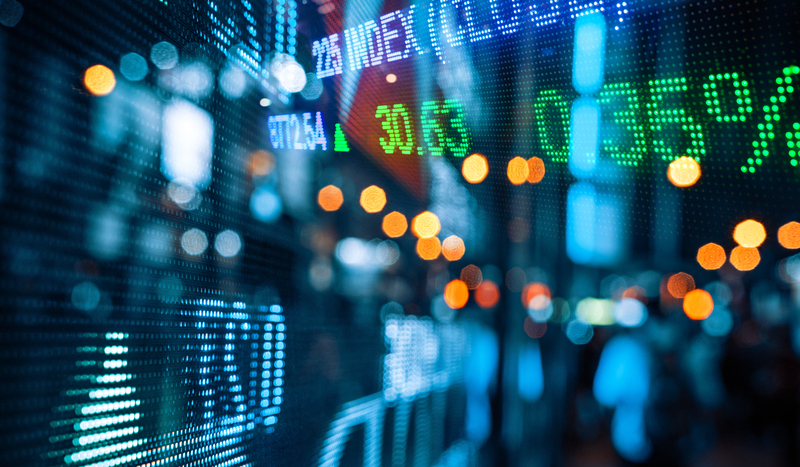 The Nevada Securities Division has been made aware of the preemption concerns by reason of The National Securities Markets Improvement Act of 1996 (NSMIA) and other federal law, which may be the holdup. Last April, we noted, “Nevada Democratic Senate Majority Leader Aaron Ford, the sponsor of the legislation (who subsequently announced his intention to run for state attorney general), said in an interview that he is ‘confident’ the law will ‘comport with what the federal government may do,’ specifically referencing the DOL Fiduciary Rule.” We also mentioned that, “Ford intimated that he and others would not hesitate to send the Securities Division back to the drawing board if the regulation does not reflect (enough) of their legislative intent. He also vowed, ‘We’ll be back again in 2019’ should the law be struck down by a court on preemption grounds.” Since then, Ford has won his race for state attorney general. We wonder if this means Nevada pursues its agenda of imposing a uniform fiduciary standard through the courts (e.g., filing suit against a final SEC rulemaking) rather than through the legislature. Also on the legislative front, Illinois took a preliminary step toward promulgating a standard of care for investment advisers. On February 13, 2018, Illinois introduced the Investment Advisor Disclosure Act. While the bill does not yet provide any text, it appears to target disclosure-related standards and mimics the approach taken by New York in its proposed Investment Transparency Act. It also has yet to advance. With the states’ legislative approach to addressing the standards of conduct issue largely unsuccessful, we expect most states will await final rulemaking from the SEC and the NAIC, and only then propose and promulgate regulations directly or indirectly imposing uniform standards of care. We do not expect many other states, besides the ones already mentioned, to be involved (with one or two exceptions). While regulations may face better odds than legislation, they also remain vulnerable to court challenge that the regulator acted beyond its powers. This means that litigation both by, and against, the states involved, such as New York and potentially New Jersey, will likely characterize state activity regarding broker-dealer and investment adviser standards of conduct in 2019. John Baker and Michael Wallace attended the Staff Roundtable on the proxy process on November 15, 2018. The Roundtable consisted of three panels on each of the following topics: (1) proxy voting mechanics and technology; (2) shareholder proposals; and (3) the role of proxy advisory firms. Clayton opened the discussion by expressing his personal goal to improve the quality of the voting process for long term investors, such that they can make more informed, company-specific voting decisions. He requested that the panel continue to work on and present recommendations for change to the SEC. Notably, Clayton did not make the same request after the other two panel discussions. Also notable was the absence of any discussion at all about the two interpretive letters from 2004, which were recently withdrawn by the SEC. 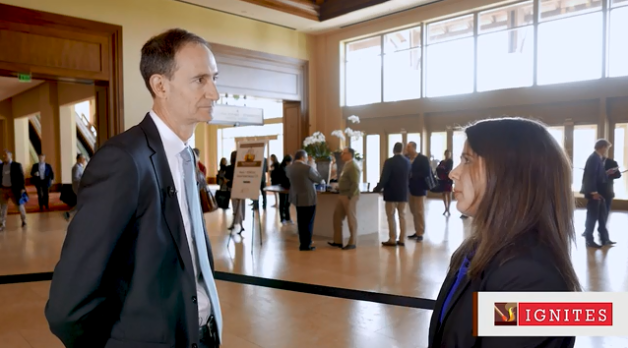 Much of the panel’s time was spent discussing how proxy advisory firms operated, what services they provide, and how those services are used by asset managers, investment advisers, and issuers. In December, Clayton gave a speech that included priorities for the SEC in 2019.21 Among other things, he indicated that improving the proxy process is a significant initiative. With regard to proxy advisory firms, Clayton indicated that “there should be greater clarity regarding the division of labor, responsibility and authority between proxy advisors and the investment advisers they serve.” Additionally, Clayton pointed to the need for “clarity regarding the analytical and decision-making processes advisers employ,” and indicated that “it is clear to me that some matters put to a shareholder vote can only be analyzed effectively on a company-specific basis, as opposed to applying a more general market or industry-wide policy.” Clayton indicated that he intended to move forward with staff recommendations. Environmental, social and/or governance issues are a fact of life. Cybersecurity and climate change are two examples. Some investment funds that incorporate ESG factors, for instance, scrutinized their holdings in Facebook because they viewed the recent privacy scandals “as the digital equivalent of a toxic waste spill,”22 while other funds and managers focus on the myriad other environmental (E), social (S) and/or governance (G) issues and risks when making investment decisions. ESG continues to proliferate at breakneck speed across asset classes. In fact, we’re helping both our registered and private fund clients incorporate various ESG strategies, and advising fiduciaries on the fiduciary implications, such as how integration, shareholder engagement and divestment can be conducted in a manner consistent with ERISA. We simply don’t see ESG going away anytime soon. ENGAGEMENT: Exercising one or more rights of a holder of interests in an ISSUER, such as proxy voting, introducing resolutions or participating in formal or informal meetings with the ISSUER board, in respect of an ESG FACTOR where (A) the exclusive purpose is to enhance portfolio return or reduce portfolio risk, (B) the primary purpose is for non-investment performance reasons, such as the promotion of an ESG policy, and a secondary purpose is to enhance portfolio return or reduce portfolio risk or (C) the exclusive purpose is for one or more non-investment performance reasons, such as the promotion of an ESG policy. 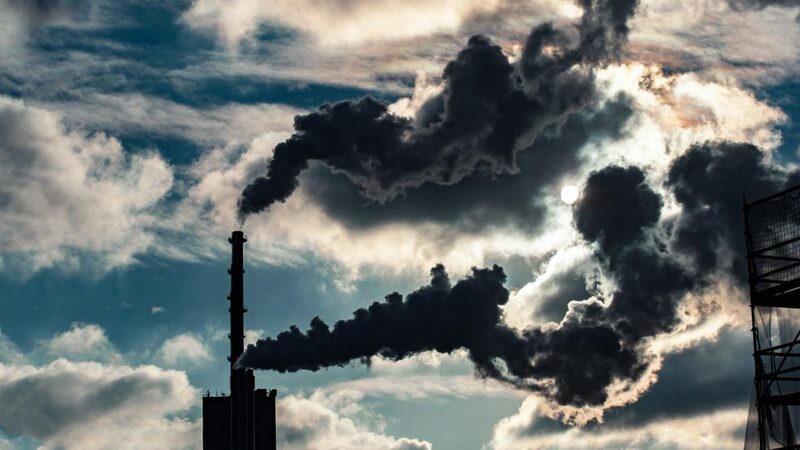 ENVIRONMENTAL: Issues or facts related to the natural environment, such as climate change, carbon emissions, waste management, recycling, energy, biodiversity, pollution, and conservation. ESG (FACTOR): ENVIRONMENTAL, SOCIAL and/or GOVERNANCE-related issues or facts. ESG INVESTING: Employing NEGATIVE SCREENING, POSITIVE SCREENING, THEMATIC INVESTING, INTEGRATION, ENGAGEMENT, IMPACT INVESTING, SOCIALLY RESPONSIBLE INVESTING, RESPONSIBLE INVESTING AND/OR SUSTAINABLE INVESTING. EXCLUSIONARY SCREENING: See NEGATIVE SCREENING. GOVERNANCE: Issues or facts related to the governance of an ISSUER, such as executive compensation, board structure, shareholder rights, bribery and corruption, and cybersecurity. IMPACT INVESTING: Selecting investments in respect of an ESG FACTOR where the primary purpose is for non-investment performance reasons, such as the promotion of an ESG public policy, and a secondary purpose is to enhance portfolio return or reduce portfolio risk. INTEGRATION: Incorporating ESG-related data and/or information in respect of an ESG FACTOR into the usual process when making an investment decision where such data or information is material to investment performance and where the exclusive purpose is to enhance portfolio return or reduce portfolio risk. ISSUER: Any issuer, such as a corporation or country, whether in the public or private markets, that issue investible holdings, whether a security or not, in which an investment can be made. NEGATIVE SCREENING: Avoiding the purchase of prospective investments, or DIVESTING from existing investments, on the basis of such investments not meeting a designated ESG standard, rating or requirement where (A) the exclusive purpose is to enhance portfolio return or reduce portfolio risk, (B) the primary purpose is for non-investment performance reasons, such as the promotion of an ESG public policy, and a secondary purpose is to enhance portfolio return or reduce portfolio risk or (C) the exclusive purpose is for one or more non-investment performance reasons, such as the promotion of an ESG public policy. Also called EXCLUSIONARY SCREENING. POSITIVE SCREENING: Selecting investments on the basis of meeting a designated ESG standard, rating or requirement where (A) the exclusive purpose is to enhance portfolio return or reduce portfolio risk, (B) the primary purpose is for non-investment performance reasons, such as the promotion of an ESG public policy, and a secondary purpose is to enhance portfolio return or reduce portfolio risk or (C) the exclusive purpose is for one or more non-investment performance reasons, such as the promotion of an ESG public policy. RESPONSIBLE INVESTING: Selecting investments where (A) the primary purpose is for non-investment performance reasons, namely the promotion of a GOVERNANCE ESG FACTOR, and a secondary purpose is to enhance portfolio return or reduce portfolio risk or (B) the exclusive purpose is for one or more non-investment performance reasons, namely the promotion of a GOVERNANCE ESG FACTOR. 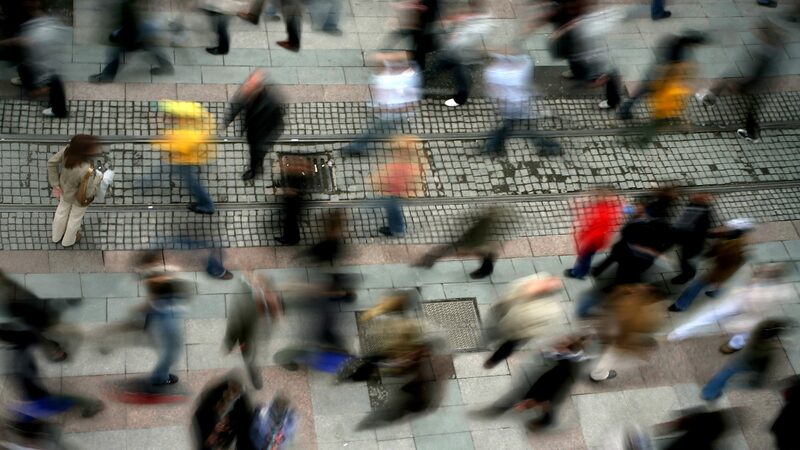 SOCIAL: Issues or facts related to human relations of an ISSUER, such as employee relations, community relations, board diversity, human rights, demography, food security, poverty/inequality, child labor and health and safety. SOCIALLY RESPONSIBLE INVESTING: Selecting investments where (A) the primary purpose is for non-investment performance reasons, namely the promotion of a SOCIAL ESG FACTOR, and a secondary purpose is to enhance portfolio return or reduce portfolio risk or (B) the exclusive purpose is for one or more non-investment performance reasons, namely the promotion of a SOCIAL ESG FACTOR. SUSTAINABLE INVESTING: Selecting investments where (A) the primary purpose is for non-investment performance reasons, namely the promotion of an ENVIRONMENTAL ESG FACTOR, and a secondary purpose is to enhance portfolio return or reduce portfolio risk or (B) the exclusive purpose is for one or more non-investment performance reasons, namely the promotion of an ENVIRONMENTAL ESG FACTOR. THEMATIC INVESTING: Utilizing NEGATIVE SCREENING, POSITIVE SCREENING, INTEGRATION and/or ENGAGEMENT to invest in ISSUERS that share a common ESG purpose, industry or product. On April 23, 2018, the DOL issued Field Assistance Bulletin 2018-01. At the time of its publication, we noted that it, “reflects an unease by the DOL over certain ESG practices and largely clarifies existing fiduciary obligations in this space.” Specifically, FAB 2018-01 preserved integration as an ESG approach. As defined above, integration is where the fiduciary thinks that one or more ESG factors will have a material impact on investment performance. There is a good amount of data coming out that links investment performance with various (but not all, yet) ESG factors. FAB 2018-01 also warned plan fiduciaries against selecting an ESG-themed fund as a qualified default investment alternative (QDIA) for purposes of section 404(c) of ERISA. However, we thought the DOL left open the possibility of selecting a QDIA that integrates ESG factors, again, seemingly demonstrating a preference for that approach. We also noted in April that the DOL “zeroed-in on shareholder engagement in respect of ESG issues that have a connection to the value of the plan’s investment in the company, where the plan may be paying significant expenses for the engagement or development of proxy resolutions.” If anything, this aspect of FAB 2018-01 has the most significant ramifications. If plans are viewed as paying indirectly for engagement through the management fee, which view we think the DOL takes, then proxy voting and other forms of shareholder engagement need to be monitored for both costs and benefits, particularly as the time spent on the engagement increases. Rather unfortunately, the report was largely completed prior to the DOL’s issuance of Field Assistance Bulletin (FAB) 2018-01, which we discussed here. The principal recommendation by the GAO is for the DOL to issue guidance on whether a fiduciary can incorporate ESG factors into the management of a default investment option in a defined contribution plan. As you may know, FAB 2018-01 seemed to do just that, though not in an entirely clear manner. Nevertheless, the GAO addressed FAB 2018-01 at the end of the report and narrowed its initial recommendation, namely, that the DOL better explain how fiduciaries can utilize the integration strategy in a QDIA. In the DOL’s defense, FAB 2018-01 seems to address (to some extent) whether a QDIA can utilize the integration strategy; the DOL instead hit the brakes on offering a themed ESG product as a QDIA. In our view, ESG will continue to evolve and proliferate, while also garnering the attention of both the DOL and SEC on a number of levels. ESG is, in essence, entirely fluid and will continue to present business opportunities and compliance challenges. We will likely have more to say on this in the coming weeks. 1 Citing Chamber of Commerce of the U.S.A. v. U.S. Dep’t of Labor, No. 17-10238, slip op. 46 (5th Cir. Mar 15, 2018). 2 See Regulation Best Interest, SEC Rel. No. 34-83062 (April 18, 2018); Form CRS Relationship Summary; Amendments to Form ADV; Required Disclosures in Retail Communications and Restrictions on the use of Certain Names or Titles, SEC Rel. Nos. 34-83063; IA- 4888 (April 18, 2018); Proposed Commission Interpretation Regarding Standard of Conduct for Investment Advisers; Request for Comment on Enhancing Investment Adviser Regulation, SEC Rel. No. IA-4889 (April 18, 2018). 3 Dodd-Frank Wall Street Reform and Consumer Protection Act, Pub. L. No. 111-203, § 913, 124 Stat. 1376, 1824-30 (2010). 4 A “retail customer” is proposed to be defined under Regulation Best Interest as a person who receives a recommendation and uses it primarily for personal, family or household purposes. 6 Regulation Best Interest, Release No. 34-83062 (April 18, 2018), available at https://www.sec.gov/rules/proposed/2018/34-83062.pdf. 7 For purposes of the Form CRS delivery requirement, a “retail investor” is proposed to be defined as a prospective or existing client or customer who is a natural person, including a trust or other similar entity that represents natural persons. 8 The form would not supersede the Form ADV Part 2 brochure, which investment advisers would continue to prepare and provide to clients. 9 Both New Jersey and FINRA rules require securities recommendations to meet a suitability standard. See N.J. Admin. Code § 13:47A-6.3(a)(3); FINRA Rule 2111. 10 50 N.J.R. 2142(a) (Oct. 15, 2018). 11 An Act to Amend the General Obligations Law, in Relation to Mandating Greater Levels of Disclosure by Non-Fiduciaries that Provide Investment Advice, New York State Assembly, A02464A (N.Y. 2017), available here. 12 Suitability and Best Interests in Life Insurance and Annuity Transactions, New York State Department of Financial Services, First Amendment to 11 NYCRR 224, available at https://www.dfs.ny.gov/insurance/r_finala/2018/rf187a1txt.pdf. 13 For example, the National Association of Insurance and Financial Advisors of New York filed a lawsuit in November 2018 against the NYDFS in New York’s Supreme Court alleging various claims regarding the regulation’s constitutionality. To view the complaint, please visit: https://www.investmentnews.com/assets/docs/CI1180381126.PDF. 14 Assembly Amendment to S.B. 383, 79th Sess. 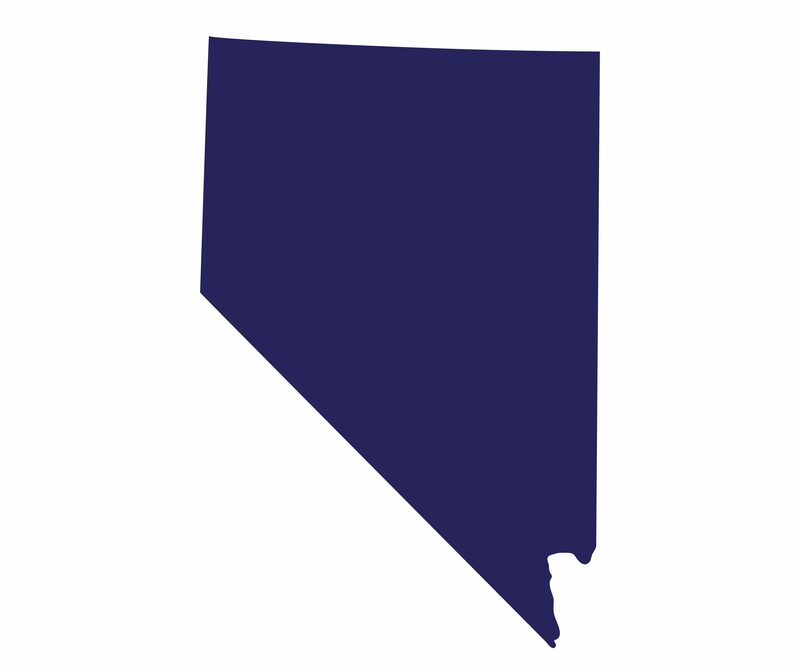 (Nev. 2017), available at https://www.leg.state.nv.us/App/NELIS/REL/79th2017/Bill/5440/Text#. 15 Statement Regarding SEC Staff Views, available at https://www.sec.gov/news/public-statement/statement-clayton-091318. The Chairman noted that other federal financial agencies had instituted similar reviews of staff guidance. 16 Statement Regarding Staff Proxy Advisory Letters, available at https://www.sec.gov/news/public-statement/statement-regarding-staff-proxy-advisory-letters. Commissioner Jackson issued a statement in conjunction with the Investor Advisory Committee meeting critical of IM staff’s withdrawal of the letters. Statement on Shareholder Voting, available at https://www.sec.gov/news/public-statement/statement-jackson-091418. 17 Staff Legal Bulletin No. 20 (June 30, 2014), available at https://www.sec.gov/interps/legal/cfslb20.htm. 18 Statement Announcing SEC Staff Roundtable on the Proxy Process, available at https://www.sec.gov/news/public-statement/statement-announcing-sec-staff-roundtable-proxy-process. 20 For example, HR 5311 was introduced in May 2016 and later folded into the Financial CHOICE Act. More recently, in October 2017, HR 4015, which is mostly a resubmission of HR 5311 was introduced. These bills generally require registration of proxy advisory firms with the SEC, and require firms to meet extensive disclosure requirements relating to methodologies and conflicts of interest, require firms to hire an ombudsperson to handle complaints, and give corporate issuers the ability to vet proxy advisory firms’ recommendations before the recommendations are released. 21 SEC Rulemaking Over the Past Year, the Road Ahead and Challenges Posed by Brexit, LIBOR Transition and Cybersecurity Risks, available at https://www.sec.gov/news/speech/speech-clayton-120618. 22 Emily Chasan, Facebook Turns Toxic for Some ESG Funds, Bloomberg, March 26, 2018. 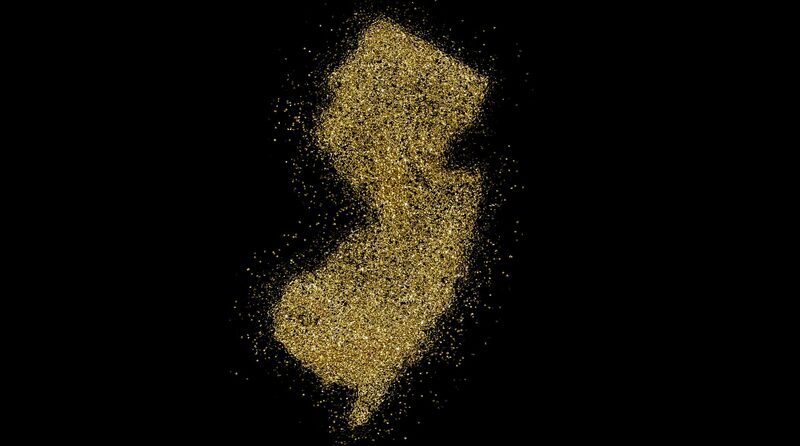 New Jersey can be credited as the first state to take up a uniform fiduciary standard applicable to broker-dealers and investment advisers in the wake of Regulation Best Interest and the rest of the Securities and Exchange Commission’s (SEC) major standard of care proposal. On October 15, the New Jersey Bureau of Securities (Bureau) announced, in the form of a notice of pre-proposal, that it is soliciting comments on whether to adopt rule amendments to require that broker-dealers, agents, investment advisers, and investment adviser representatives be subject to an express fiduciary duty. The rule amendments likely would apply to all persons who conduct brokerage services in New Jersey, including federally registered broker-dealers. It likely would also apply to state-registered investment advisers, but it is not clear whether the rule amendments would apply to SEC-registered investment advisers. According to the notice, while investment advisers already owe a fiduciary duty to their clients under case law,1 broker-dealers are held only to a suitability standard2 (i.e., broker-dealers and their agents are required to have a reasonable basis to believe a recommended transaction or investment strategy involving securities is suitable for the customer).3 The notice expresses concern that investors remain without adequate protection from broker-dealers who, under the suitability standard, are permitted to consider their own interests ahead of their client’s interests when making investment recommendations.4 In particular, the notice warns that investors are often unaware of whether and to what extent those they trust to make financial recommendations are receiving undisclosed financial benefits in exchange for steering their clients to certain products. The pre-proposal does not include specific regulatory language, but the notice indicates that the Bureau is considering “making it a dishonest or unethical business practice for failing to act in accordance with a fiduciary duty when recommending to a customer, an investment strategy, or the purchase, sale, or exchange of any security or securities, or providing investment advisory services to a customer.” The Bureau contemplates a uniform standard that would protect investors against the abuses that can result when financial professionals place their own interests above those of their customers, but does not set out the precise scope of the duties that would apply. The scope of the duty in terms of to whom it is owed. Comments should be sent by December 14, 2018, to: Christopher W. Gerold, Bureau Chief, Bureau of Securities, PO Box 47029, Newark, New Jersey 07101, or electronically. The Bureau will also host two “informal conferences to take testimony from interested parties to gather facts to inform a rulemaking and to afford ample opportunity for the receipt of public comment from the regulated communities, industry representatives, and the public at large.” These conferences will take place on November 2 and November 19 from 9:30 am – 4:30 pm at 124 Halsey Street, 6th Floor, Morris Room, Newark, NJ 07101. We expect that, following its consideration of public comments, the Bureau will issue a formal rule proposal, which will be subject to notice and comment. A copy of the pre-proposal can be found here. This is not the first time New Jersey has waded into these waters post-Department of Labor (DOL) fiduciary rule. Earlier this year, the New Jersey Senate considered a bill that would impose a disclosure obligation on “non-fiduciary investment advisors,” including broker-dealers, that would consist of a Plain English declaratory statement that those entities do not owe fiduciary duties to their clients. This legislation has since stalled. A nearly identical bill was introduced in the New York Assembly and has similarly stalled. New Jersey Governor Phil Murphy, a Democrat, announced last month that the Bureau would initiate a rulemaking that “would impose a fiduciary duty on all New Jersey investment professionals, requiring them to place their clients’ interests above their own when recommending investments.” While the October 15 pre-proposal merely solicits comments on what a uniform fiduciary standard should look like under New Jersey law, it comes at a time when the SEC is currently working to address federal standards of conduct. As we noted recently, the SEC could issue a final rule in the first half of next year. Though it remains to be seen how the SEC will ultimately address the numerous concerns stakeholders have over Regulation Best Interest and other aspects of the rulemaking, the Governor and the Bureau are not waiting for the SEC to address these concerns. As with some other states and public officials, the Governor may be holding up the DOL fiduciary rule as a model. 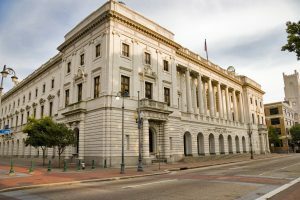 He charged the DOL with “abandoning” its controversial fiduciary rule by not appealing the decision of the Fifth Circuit Court of Appeals to vacate the rule. It is possible that this apparent affinity for the DOL rule could presage what a final New Jersey rule could look like. It is also possible that other states will move forward with disparate fiduciary standards and duties before the SEC has the chance to publish a final rule. Ever since the President’s Inauguration, a handful of blue states have cast the Trump Administration as being adverse to Main Street investors, even though both SEC Chairman Jay Clayton and DOL Secretary Alex Acosta have solicited state participation. Nevertheless, several state bills, including those of Illinois, Massachusetts and New York (nearly all of which failed), attempted to address the different standards of conduct of investment advisers and broker-dealers. Enforcement efforts, particularly out of Massachusetts, have also been active during this period. Not all state efforts in imposing a uniform fiduciary standard, however, have stalled. Nevada, for instance, amended its financial planner statute in 2017 to impose a fiduciary standard on broker-dealers. As we previously noted, Nevada’s amended law raises a number of material interpretive issues, which were supposed to have been addressed in a regulation. To date, no such regulation has been proposed. Standards of care applicable to broker-dealers and investment advisers remain an entirely fluid area at the federal and state levels. We expect ongoing state regulatory and enforcement developments while the SEC continues to work on its own rulemaking, with the DOL most likely awaiting a final SEC rule before issuing any new guidance in this area. The question then becomes not if a major fiduciary standard of care development will occur in the near future, but by whom and when. 1 A fiduciary duty for investment advisers has been implied under the Investment Advisers Act of 1940. See Transamerica Mortgage Advisors v. Lewis, 444 U.S. 11, 17 (1979); SEC v. Capital Gains Research Bureau, 375 U.S. 180 (1963). 2 In fact, available case law in New Jersey, following precedent from other states, says that broker-dealers generally are not fiduciaries, but do have fiduciary duties if they have investment discretion. See McAdam v. Dean Witter Reynolds, 896 F.2d 750, 767 (3d Cir. 1990); Estate of Parr v. Buontempo Insurance Services, 2006 WL 2620504, at *5 (N.J. Super. Ct. App. Div. 2006) (unpublished opinion). 3 Both New Jersey and FINRA rules require securities recommendations to meet a suitability standard. See N.J. Admin. Code § 13:47A-6.3(a)(3); FINRA Rule 2111. 4 Although the notice states that broker-dealers can consider their own interests ahead of their client’s interests when making investment recommendations, FINRA has stated that the suitability requirement that a broker make only those recommendations that are consistent with the customer’s best interests prohibits a broker from placing his or her interests ahead of the customer’s interests. FINRA Regulatory Notice 12-25 (May 2012). On April 18, the Securities and Exchange Commission (“SEC”) released for public comment a package of rulemaking proposals on the standards of conduct and required disclosures for broker-dealers and investment advisers who provide services to retail investors. The release of the long-awaited proposals was approved by a 4 – 1 vote of the Commissioners, with Commissioner Kara Stein dissenting. However, all of the Commissioners expressed some concerns with the proposals, suggesting that the rulemaking will likely need to evolve before it can be approved. The Dodd-Frank Act authorized the SEC to adopt rules on the standards of care for broker-dealers, investment advisers, and their associated persons,1 and the SEC staff in 2011 issued a study recommending that the SEC engage in rulemaking to adopt and implement a uniform fiduciary standard of conduct for broker-dealers and investment advisers when providing personalized investment advice about securities to retail customers.2 The SEC did not propose a uniform fiduciary standard, however, but instead proposed a best interest standard for broker-dealers that it characterized as an enhancement to existing standards but separate and distinct from the fiduciary duty applicable to investment advisers. The SEC also proposed a new requirement for both broker-dealers and investment advisers to provide a brief relationship summary to retail investors, and it published for comment a proposed interpretation of the standard of conduct for investment advisers. The broker-dealer or associated person must reasonably disclose to the retail customer in writing the material facts relating to the scope and terms of the relationship, including all material conflicts of interest associated with the recommendation. have a reasonable basis to believe that a series of recommended transactions is not excessive and is in the retail customer’s best interest when taken together in light of the retail customer’s investment profile. disclose and mitigate, or eliminate, material conflicts of interest arising from financial incentives associated with the recommendation. The SEC states that Regulation Best Interest is not intended to create any new private right of action or right of rescission. It remains to be seen, however, whether it would have an effect on existing rights of action. key questions for retail investors to ask the firm’s financial professional. Form CRS would be provided to investors, filed with the SEC, and available online. The form would not supersede the Form ADV Part 2 brochure, which investment advisers would continue to prepare and provide to clients. The SEC has provided mock-ups of Form CRS that would be used by standalone broker-dealers, standalone investment-advisers, and dually-registered firms. The SEC also proposed (A) to require broker-dealers and investment-advisers to prominently disclose their registration status; and (B) to restrict standalone broker-dealers and their financial professionals from using the terms “adviser” and “advisor” as part of their name or title. These proposed changes are part of greater scrutiny by federal and state regulators over the titles financial professionals use that could confuse investors as to the nature of the relationship, which has been the focus of a number of state legislatures. The third element of the package is a proposed interpretive release on the fiduciary duty that investment advisers owe to their clients.8 Existing enforcement proceedings and SEC interpretations hold that the Investment Advisers Act of 1940 establishes a federal fiduciary standard for investment advisers. The proposed interpretation is intended to summarize the SEC’s understanding of that fiduciary duty and put the market on notice of the SEC’s views. The release also includes a request for comments on areas where the current broker-dealer framework provides investor protections that may not have counterparts in the investment adviser context. The SEC intends to consider these comments in connection with any future proposed rules or other proposed regulatory actions with respect to these matters. Accordingly, the SEC requests comment on whether there should be federal licensing and continuing education requirements for personnel of SEC-registered investment advisers; whether registered investment advisers should be required to provide account statements, either directly or via the client’s custodian; and whether registered investment advisers should be subject to financial responsibility requirements along the lines of those that apply to broker-dealers. Each of the Commissioners expressed reservations, to varying degrees, with the proposals (and complained about their heft – in aggregate, they take up almost 1,000 pages) at the SEC open meeting at which their issuance was approved. It became clear during the open meeting that the Commissioners have concerns, including with the proposals’ clarity, the appropriate comparison to existing broker-dealer suitability standards, and the cost-benefit analysis. Public comments will weigh heavily as the SEC considers these proposals, and for this reason interested parties may wish to submit a comment letter in response to the numerous questions the SEC posed. Comments on the proposals will be due 90 days after their publication in the Federal Register, which will likely occur at some point in the next month. The SEC will then need time to consider what are likely to be a large number of comments. We should not expect consideration of final rules much before the end of 2018, and final action could be considerably later. 1 Dodd-Frank Wall Street Reform and Consumer Protection Act, Pub. L. No. 111-203, § 913, 124 Stat. 1376, 1824 – 30 (2010). 3 A “retail customer” is proposed to be defined under Regulation Best Interest as a person who receives a recommendation and uses it primarily for personal, family, or household purposes. 5 Regulation Best Interest, Release No. 34-83062 (Apr. 18, 2018), https://www.sec.gov/rules/proposed/2018/34-83062.pdf. 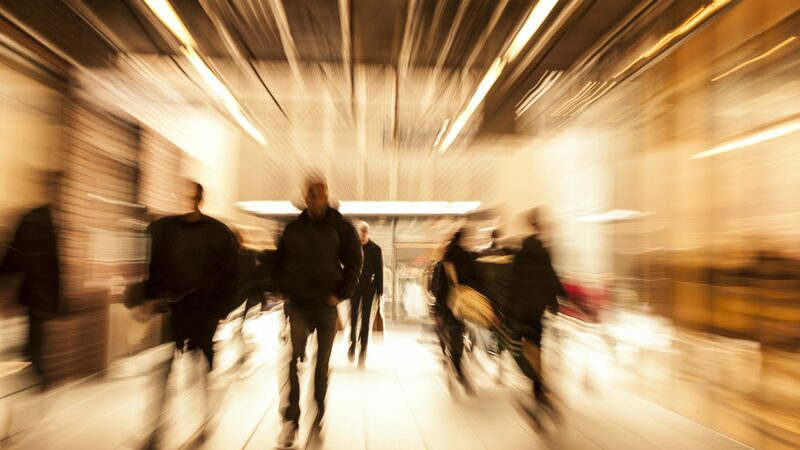 6 For purposes of the Form CRS delivery requirement, a “retail investor” is proposed to be defined as a prospective or existing client or customer who is a natural person, including a trust or other similar entity that represents natural persons. 8 Proposed Commission Interpretation Regarding Standard of Conduct for Investment Advisers; Request for Comment on Enhancing Investment Adviser Regulation, Release No. IA-4889 (Apr. 18, 2018), https://www.sec.gov/rules/proposed/2018/ia-4889.pdf. Register to attend the webcast here.